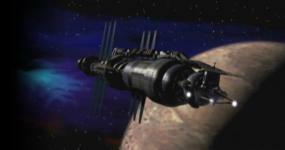 Sooooooooo who is going to start The Museum of Babylon 5? That definitely disqualifies me, but if I had money I probably would. I mean the worst thing that could happen is that I would create a destination for B5 fans to visit. Sure it might not make money, but I would get to see some friends and make a whole lot of new friends.